Since the beginning of our private beta Heroku has been used by developers all over the world. Recently, we’ve been delighted to see a particularly strong interest from Rubyists in Europe looking to take advantage of the deployment and scalability benefits of our platform. 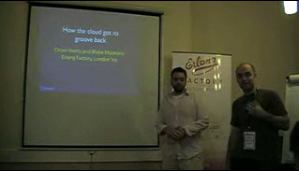 On their trips to Erlang Factory in London and Kings of Code in Amsterdam, Blake and Orion saw immense interest from both individual hackers and established companies. In August I’ll be making the trip to several European Ruby user group meetings to catch up with even more users, and hopefully gain a better understanding of what they’d like to see from Heroku in the future. If you’re in or around any of the listed cities on the meetup dates, please consider stopping by. I’ll likely have some time around each of these events, so feel free to contact me if you have a particular project you’d like to discuss.